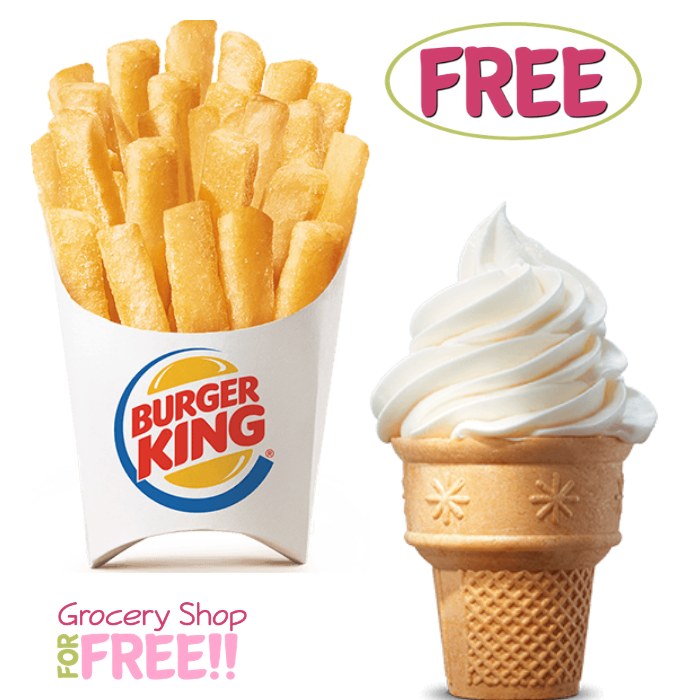 FREE French Fries & Ice Cream With $1 Purchase At Burger King! You are here: Home / FREEbies / FREE French Fries & Ice Cream With $1 Purchase At Burger King! For a limited time only! Hurry over to Burger King where you can score Burger King Scholars Coupon Books when you make a $1 donation! These coupon books have six coupons valid for FREE soft serve ice cream, FREE value size french fries and FREE frozen treats – no purchase is necessary. Just make sure you spend them by December 31! Yum!